Depicts American Pharoah winning The Preakness Stakes. Free Shipping on your order! 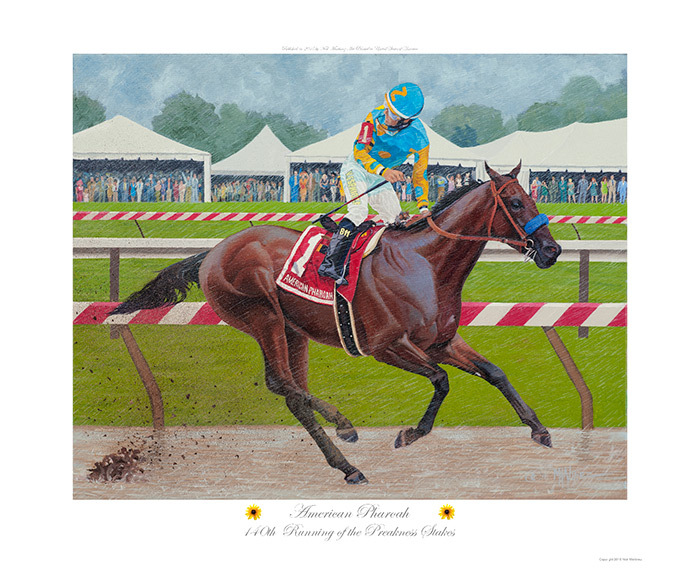 20% off if you purchase all 3 American Pharoah prints! 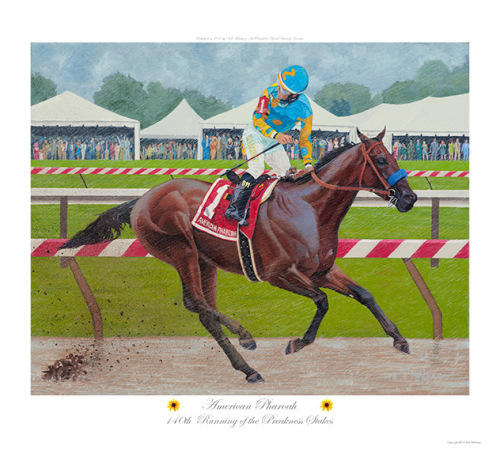 Call 518-744-3034 to order all 3 American Pharoah prints at the discounted rate. Click on the image to view full image.